Over the years we have customer who have purchased scanners and those units are just now being replaced by the end users or they are just not working with the current PC/MAC operating system. How do you know what the right scanner is for you? By asking questions and looking at the past and the current needs we are able to determine the right scanner for your needs. These are just a few questions that we ask to determine the right scanner for your needs. The most important thing to discover is what your current scanning needs are. Most of the time we talk about the current scanner you have. What did you like about that scanner? What did you wish it had as your needs have changed over the years. What software are you currently scanning with? We need to know in order to make sure the software supports the NEW scanners. Keep in mind we know you probably liked the current scanner and usually have no problem going with the same manufacture all over again. With that said you may want to look at other manufactures just to make sure you are getting the best deal. Today the major scanner manufactures including Canon, Fujitsu, Panasonic and Kodak offer 90 day warranties, 1 year warranties and some even offer 3 year warranties. The Progression of scanners over the years is hard to follow especially if you are not in the industry. At Scanner One, Inc. we have all of the scanners listed out to show discontinued scanners and then the scanner that replaced the discontinued scanner. In most cases we go back 3 generation of scanners and some cases 4 generations of past scanners. An examples from Fujitsu would be the 4120/5120/6130/6130Z progression. If someone purchased the Fujitsu Fi-4120 that scanner was 25 pages per minute. It was replaced by the Fi-5120 that was 25 pages per minute. The Fi-5120 was replaced by the Fujitsu Fi-6130 at 40 pages per minute and that unit was replaced by the Fi-6130Z again 40 pages per minute. Most people would say that is a huge progression over the years especially to go from 25 pages per minute to 40 pages per minute. The cost must have gone up dramatically. That was not the case, Fujitsu increased the speed of these scanners but did not raise the price of the scanners or the service for the scanner. Canon is the same when it comes to upgrading the scanners. Take the 3060/3080/3080CII/4010/6010/M160. If you purchased the Canon DR-3060 at 30 pages per minute you were using a state of the art scanner. That unit was replaced by the Canon DR-3080 at 40 pages per minute. Then it was replaced by the 3080CII for USB Connectivity. That unit was replaced by the 4010C again at 40 pages per minute. Then the DR-6010C was introduced at 60 Pages Per minute. Again pricing did not go up and the scanner speeds did. Canon once again followed up with a 60 page per minute scanner at a lower cost. This unit is now called the Canon DR-M160. Most people have a hard time believing you can get a 60 page per minute Duplex Color scanner for under $1,000 (a grand) but you can. The motto Canon USA is boasting is “MORE for LESS”. I have to say it is working for them. 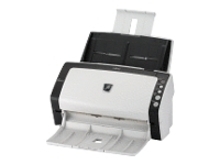 If you are looking for a replacement scanner and just are not sure what scanner to purchase. Give us a call. We have all of the scanners on our site and can show you the progression from your older discontinued scanner to the current model. We can even cross reference current scanner manufactures to make sure you get the best scanner for your needs. Don’t forget to ask about our award winning scanner service for your next purchase. Discontinued & Used Scanners | Purchase New or Refurbished? When to purchase a discontinued or used scanner and when it’s important to buy new! We are asked all the time at Scanner One… do you have any used scanners? Most of the time we only have one or two scanners in the used area. So, when is a good time to purchase a used scanner. In most cases it is a good time to purchase one when the unit has a low scan count. Look at the total number of scans on the unit. If the unit is rated for 1,000 to 2,000 pages per day and the unit only has 3,000 scans on it then this is a great buy. Make sure the scanner is in working condition and it actually scans well enough to produce images which look good. Make sure if the unit has been discontinued by the manufacture they still make parts. Nothing worse than buying a scanner and finding out parts are no longer available. What is a good price for a used document scanner? It depends on the scanner. WE generally price our scanners around half of the price of a new scanner. When purchasing small desktop scanners or “Small Office” used Document Scanners make sure you get a good price on the unit. Today these scanners are considered disposable scanners. So if you purchase a used scanner for $300.00 and it last you 18 months or longer then that is a great used document scanner. If you purchase a used scanner for $300.00 and it last 3 months then that was a bad purchase. In this case you may want to look at a new scanner that comes with a manufacture warranty. Most companies will offer extended warranties for small office scanners. These warranties usually run about $99.00 for the year. The extended warranty could be a great way for you to protect your investment for as little as $.27 cents a day. Again, keep in mind replacement roller kits are never included in the extended warranties. You will need to purchase those as you need them. To see our list of Used or Hot Demo Deals visit us on the web or by clicking the following link. If you don’t see a scanner you are looking for give us a call. We have thousands of customers and we may be able to find the scanner for you. Hope this helps you in making the right decision when purchasing USED VS New. Canon has discontinued a long time running scanner known as the Canon DR-2010C. This scanner has been around for many years and I would believe Canon to have thousands of installations all over the world. In order for Canon to discontinue this scanner they must have had a very good alternate scanner in mind. The New Canon DR-C125 scanner is one that is going to prove itself right from the start. The New Canon DR-C125 was released from Canon some months ago and we are already seeing units sold for the PC user and for the MAC users. 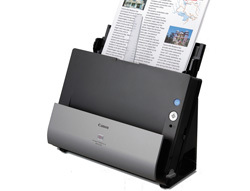 The C125 Canon document scanner has a fast scan speed up to 25 pages per minute and single pass duplex scanning. View more details below. Scanner One, Inc. is a service Authorized center for Canon and we offer Replacement Roller Kits for all of the Canon DR Scanner line. On June 22, 2012 a notification was sent out by Canon to announce the discontinuation of the Canon DR-7090C scanner. There isn’t a direct replacement being offered for the imageFORMULA DR-7090C at this time but there are some high speed scanners available which are capable of achieving similar functionality. Some of the best document scanners with similar abilities are listed below. Please note that Scanner One has a limited supply of the DR-7090C still available on a first come, first ship basis. Scanner One will continue to offer service, spare parts, and support to anyone purchasing the remaining DR-7090C scanners in stock. Please call 888-395-8570 for availability on the remaining DR-7090C scanners or to speak with one of our staff members regarding a comparable alternative. I have personally been waiting for this to happen for over a year now. It did not make since for Canon to have multiple scanners by the same model number for the PC or the MAC environment. The only difference was the “M” after the model number for the MAC users. It was confusing for the buyers to determine the difference and what model to purchase. Canon makes the purchase of a MAC scanner much easier now by introducing two new document scanners. The Canon DR-C125 and the Canon DR-C130. These two scanners plus the Canon P215 will work on PC and MAC. Now Macintosh users have a suite of scanners ranging from 15 pages per minute to 30 pages per minute. The new Canon C125 and C130 reliably converts paper-based documents into high-quality digital images, and its compact footprint makes it ideal for any office environment be it a PC environment or MAC environment. Scanner One, Inc. is service Authorized for Canon and we offer Replacement Roller Kits for all of the Canon DR Scanner line. 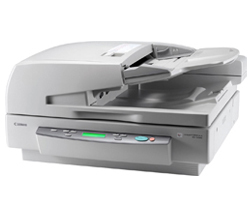 Did you know the Fujitsu 6130 scanner was discontinued and replaced by the NEW Fujitsu 6130Z document scanner! Same goes for the 6140 which was replaced by the Fujitsu 6140Z. Most of the time when a company is looking to purchase a scanner they are purchasing based on someone else’s recommendations. Be it a software providers recommendations, an associates recommendation or from attending a trade show. In most cases you may not have the most current information. That is why it is always best to call and talk to a qualified representative from the manufacture or a Premier Partner like Scanner One, Inc.
Today we still field calls for the older Fujitsu 5120 and even the Fujitsu 6130 scanner. Even though the Fujitsu 5120 and the Fujitsu 6130 were great scanners Fujitsu retired the units and replaced them with newer technology. The New Fujitsu 6130Z document scanner and the Fujitsu 6140Z Scanner have so many more new features to benefit you as a buyer and an end user. Call Scanner One, Inc. in order to find out if the scanner you are looking for is a current model and if it is the right scanner for your needs. You can reach a qualified scanner expert by calling us Toll Free 888-395-8570 and we will have your document scanner purchase made in no time.